Of all the music Cousin Silas has released, especially on weareallghosts, I am fondest of his longform pieces. I find his Dronescapes especially fascinating because they have a versatility about them: I listen to them at work when I need to find my flow and block out a busy, open-plan office; I listen to them on the train when I want to dig into a book and block out a busy carriage; I listen to them when I need to rest and block out the busyness of my home and/or my brain; They work for me on a number of levels but, in each occasion, the intention is to escape, to block out, to evade the noise that surrounds me, that could so easily envelop me, if I allowed it to. To me these soundscapes are sacred spaces ... places I can retreat to, my sonic safe-house, so to speak. It is with this in mind that I approach this appropriately titled collaboration between Cousin Silas and a new entrant to the waag roster, Kevin Buckland. 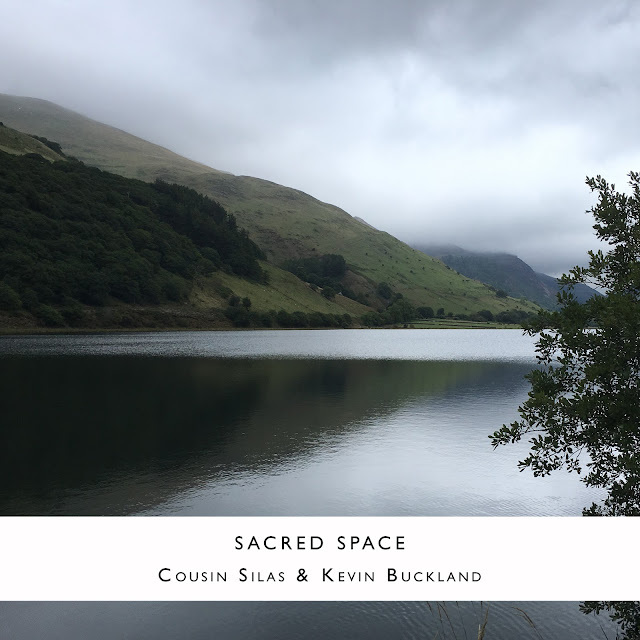 "Sacred Spaces (waag_rel121)" is a series of ambient pieces that provide a place to retreat to ... a place to be alone and to rest and to consider. Pieces that provide respite from the 24-7 always-on culture that appears to pervade every element of our very being. The collaboration of Cousin Silas' wide-open guitar and Kevin Buckland's equally spacious ambience creates the most wonderful of welcoming soundscapes ... unhurried & unforced, these are pieces for the soul as well as the ears, meditative pieces for taking precious time out, however it is that you do that. 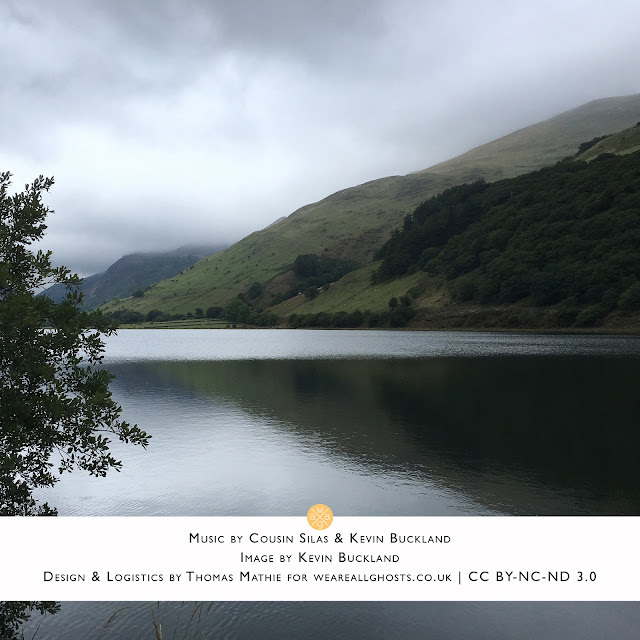 A 320kbps version of this release will be available, for free, on Archive with a lossless version available over on Bandcamp for ‘pay what you want’.